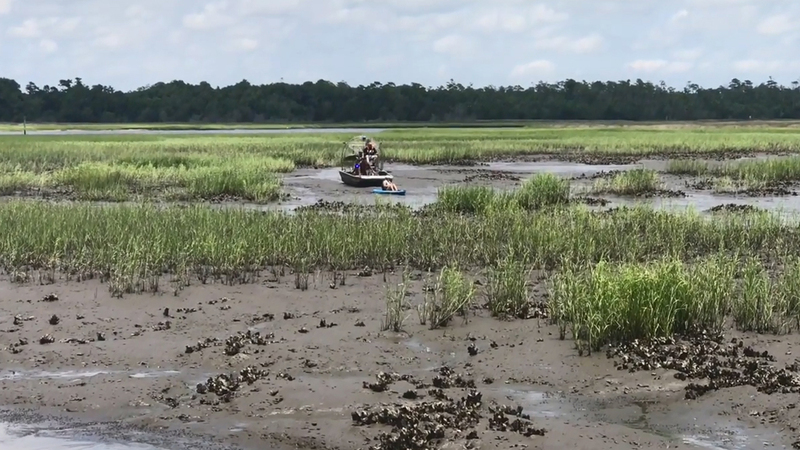 OAK ISLAND, N.C. (WTVD) -- Two South Carolina women were rescued by the Brunswick County Sheriff's Office marine unit after they got stuck in muddy oyster beds on Wednesday. Oak Island Fire and Water Rescue said the rescue took place in the 6400 block of E. Yacht Drive in Oak Island. An air boat from the sheriff's office was requested to the scene and once in the water, both kayakers were pulled safely out.